Born For Geekdom: How "The Mindy Project" Won Me Over! 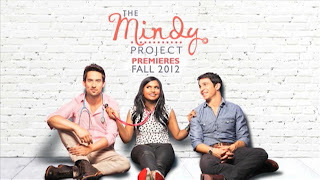 I just watched the pilot of "The Mindy Project" and I have to say, I'm pretty psyched. Between "The New Girl", "Up All Night", "30 Rock" and so many others, it's a really good season to be an awkward lady. Finally, we have representation in the media! And lots of it. True story, spit flew everywhere when I read that part aloud to proof it. Gross. But also, totally proves my point. "The Mindy Project" was a really solid show. Here are a few reasons why I'll keep watching, and why you should give it a chance. Remember, in this day and age, if you don't support a pilot you enjoyed, network executives will yank it faster than...I can't come up with a punchline for this right now. Just know, they'll cancel it if you don't support it. 1. It's different. Everything from the format to the lead character offers something unique. Mindy's lead character isn't quirky in that "look how QUIRKY our lead is, she's so quirky that she weighs 100 pounds, is pageant-beautiful, and she falls down sometimes" way. She drunk bikes herself into a pool and has a conversation with a Barbie doll underwater in the cold open. So...yeah. This character has actual flaws. Cloudy judgment. So there will actually be something to watch as the season unfolds. Actual things will happen. 2. I dig that the show is braving the medical genre. I'll admit, I balked at the thought initially. This isn't another "Scrubs" and it isn't trying to be. But they probably knew that setting the show in and around a hospital was a risk. And I like that they took it. I don't know about you, but I'm a little burned out on hospital shows right now. However, the true genius of them taking that risk is that it makes our leading lady highly intelligent. She's a doctor. This brings balance to the force. A messy personal life? Sure. But don't write her off yet, because again...doctor. We know she has the potential to pull it together. 3. There's some serious John Hughes-ian heart in the writing. The montage of Mindy watching romantic comedies over the years...that was ME. All I did my first year of college was stay locked in my dorm room watching movies while everyone else partied. That tugged at my heart. The very beginning, the few lines right before the title faded onto the screen...kind of made me emotional. And there's a really interesting surprise ending to the episode that opens our leading lady up to some serious judgment from viewers. Like I said in point number one, a lot of shows fall into that trap of trying to make a "quirky" character but really just making them sickeningly perfect with a couple of cutesy habits. That's not quirky. That's sheltered. That's predictable. But like a good John Hughes movie, the really interesting bits of character development almost always center around dysfunction. I like that this show isn't backing away from that. I'll definitely watch. Relevant Anecdote: I used to stalk the Half-Price Books in Indianapolis. I was there so often the summer between my two years in grad school that I'm surprised they didn't start shooing me out with a broom like one of those sad birds that somehow gets trapped indoors. I camped out in the memoir section because that's where all the books of funny essays by hilarious ladies were. Tina Fey, Laurie Notaro, Rachel Dratch, and yes...Mindy Kaling. I half hated those books, because I felt like they were stealing my life. My anecdotes. My stories. I wanted my chance to tell funny stories and it felt like they were beating me to the punchline. 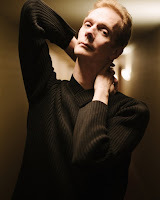 But I also loved them, because as I mentioned at the beginning of this blog, they made me feel understood. Represented. Like there was hope for this total lame-o after all. And "The Mindy Project" is sort of like one of those books popped off the shelf and came to life. And that's a really good thing. I just hope the "funny stories by awkward women" boom doesn't end before I get my stuff together and figure out what to do with my stories.